YES, IT IS ALL ABOUT THE VIEWS! NESTLED ON MUMMY MOUNTAIN , ALL THE LIVING AREA IS ON ONE LEVEL WITH NO STEPS. HIGH QUALITY AND EASY LIVING. 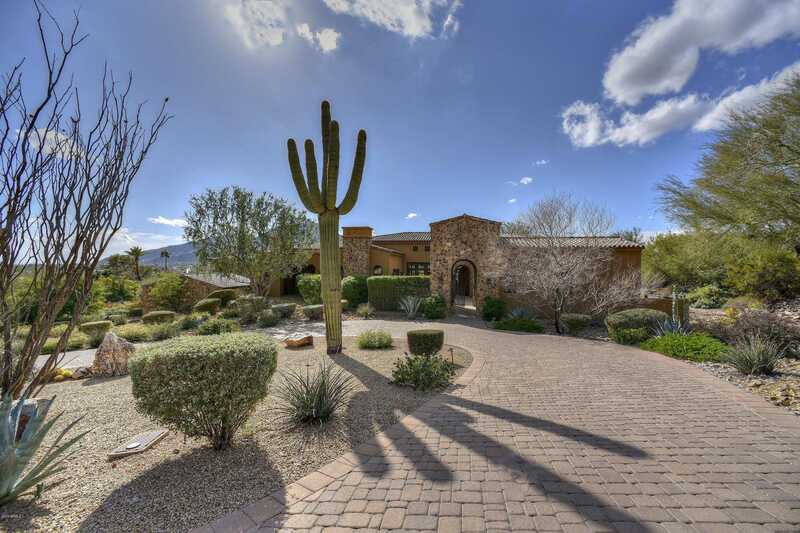 THIS HOME WAS DESIGNED TO ENTERTAIN WITH COLLAPSING DOORS OPENING TO THE BACKYARD AND FULL ON CAMELBACK VIEWS. OPEN CONCEPT CHEFS KITCHEN AND FAMILY ROOM HAVE DUAL VIEW PATIOS. FORMAL DINING ROOM WITH BUTLERS PANTRY. THE MASTER AND PRIVATE OFFICE ARE SPLIT FROM 2 EN SUITE BEDROOMS . THE ATTACHED CASITA IS IN FRONT THRU A PRIVATE COURTYARD. SECOND LEVEL HAS EXERCISE ROOM, 5 CAR GARAGE AND STORAGE. NO HOA. PERFECT LOCK AND LEAVE. PICTURES DO NOT DO THE LOCATION JUSTICE, A MUST SEE. Directions: 60TH STREET NORTH TO INDIAN BEND . LEFT , THEN FIRST RIGHT ON 59TH PLACE. HOME ON LEFT. NO SIGN. Approximate size: 33323.00 sq. ft.